Posted in: Arrests, Media Release. Tagged: Dilworth. A pharmacy employee is free on bond, accused of stealing more than 1,200 pills, valued at approximately $2,000, between February 27 and April 1. 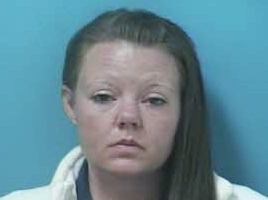 Officers were dispatched to the Columbia Avenue Kroger on Thursday, after security and management detained 35-year-old Lori Murphy for the theft. Murphy, charged with Felony Theft and Unlawful Possession of a Legend Drug, is free on the $5,000 bond set by the Magistrate. She is due in court on April 21 at 1pm.